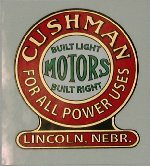 Without going into details, we will simply say that there are several variations of the Cushman vertical engines, including twin cylinder models up to 20HP. 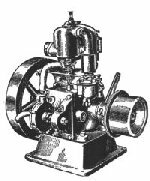 Many parts interchange between the single cylinder models and quite a few parts interchange between the 4HP and the twin cylinder 8HP. Sometimes we have to tell you we’re not sure what is correct on certain parts or what interchanges, but we’ll try to help and we do have some used parts. 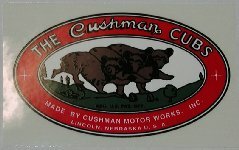 Your Cushman nameplate may identify your engine as a Cushman Cub, Bean Special, Farm Master, or Massey Harris. Horsepower will be from 1-1/2 to 4HP or from R-2 to R-40. Although many parts interchange there are variations in flywheels, pistons, and heads, but we have the experience to ask you questions that will help you order the correct parts for your engine. Our supply of used parts is usually fair to good.